The awaited event is here. 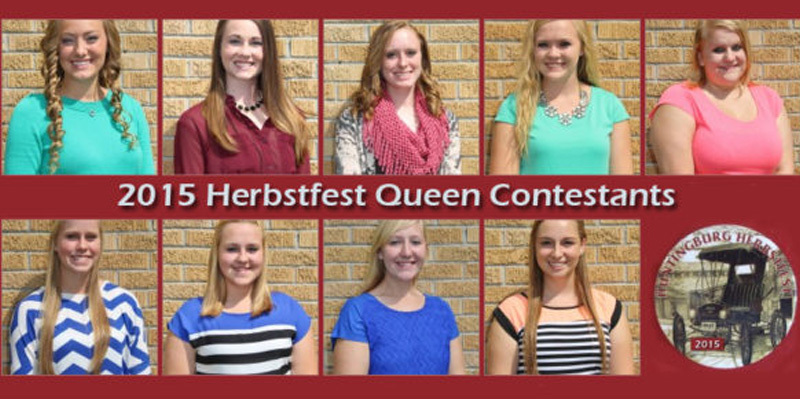 The Huntingburg Herbstfest Queen pageant will be held on September 20 at 5 pm on Sunday. The event will be held at Southridge High School auditorium. The event will open on from September 24 to September 26, (Thursday to Saturday). The place of the event is Huntingburg City Park. It may be noted that the Herbstfest Parade is all set to be held on September 27 (Sunday) at 2 pm. There will be nine Herbstfest Queen Candidates, and these include, Emily Eckert (17), she is the daughter of Tony Eckert and Donna Eckert native of Huntingburg. A student at the Southridge High School, she is a basketball player, she is part of the cross country team and tennis team. Kayley Payne (17) is a senior student at Southridge High School. She is a member of FCA, Raiderette Dance Team and football manager. Misty Merter (16) is a junior at Southridge High School and is a member of German club, softball team and more. Clarir Scherle (18) is a senior at Southridge High School. She is part of Army PT and 4-H. She serves the United States Army. Bailey Maria Barrett (17) is a senior at Southridge High School. She is a member of Cheer Team, track manager, National Honors Society, cadet teacher at the elementary school. Olivia Kazee (17) is involved in Young Women’s Program, March of Dimes and more. Erica Buechlein (17) is a member of Cheer club, choir and student council. Nicole Witlman (19) is working as occupational therapy assistant. She is a volunteer at the USI club. Jessica Hilsmeyer (17) is a class secretary. She is also a member of the Girl Scouts. Copyright 2018 Visit Dubois County | All Rights Reserved.